While we are all quite wary of the term “game changer,” Assos is throwing it all over its website and seems prepared to back up the claim in product quality and marketing dollars. To wit is the Swiss company’s new cycling bib — the S7 series — released under the radar at Interbike 2013 and just now becoming available to dealers in North America. We got one of the industry’s first tests of the S7 cycling short line. After six years in development, the touted “game changer” of note has a new kind of chamois that “floats” in the shorts. I rode it extensively over the past month, and it really does provide a new level of comfort. What makes it different? Basically, the “floating” chamois sticks to the body instead of the shorts. It is attached so that the shorts can move around it (and you) while the chamois stays in place, reducing friction. I tested it in the Équipe model (one of four in the line) on both road and mountain rides in Phoenix, Ariz., riding with members of the Skratch Labs team, as well as for hours on end on the spin bike, eliminating all external factors that could affect performance and opinion. Not only was I impressed with the fit and the quality of the fabrics, but the technology actually rode better — what little movement may exist in a high-end bib short was seemingly eliminated with the floating chamois. The fit is tailored for a “racing type cycling body.” Importantly, beyond the chamois, the brand has moved the far-from-typical bib straps off the chest and made them as unobtrusive as possible. 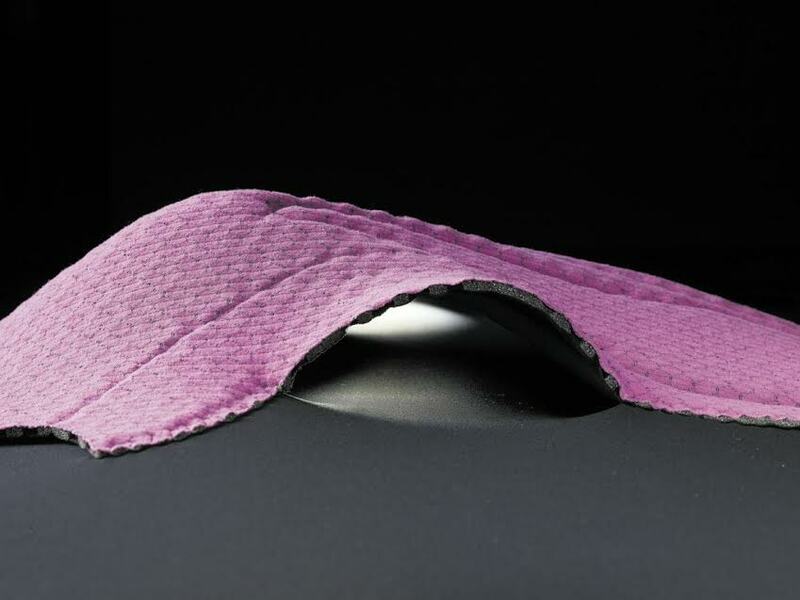 A “muscle stabilizer” fabric provides a noticeable bit of compression, which is comfortable and reduces muscle fatigue (and/or improves muscle recovery, depending on who you ask). Assos claims the S7 platform is the most advanced cycling technology the company has ever produced: lighter, lower volume, fewer seams, less friction, more compression and more breathability. Four new technology patents were created for a total of six Assos patents featured on the S7, available in four models (Neopro, Équipe, Cento and Campionissimo). Suggested retail for the Équipe, which I tested, is $269. Regarding fit, it’s what you might call ultra-ergonomic. Assos apparel is meant to fit perfectly when you are in the bent forward road racing position, and only in that position. Don’t be alarmed if it feels funny when standing upright; the brand is very clear about this in the lengthy instructional copy that accompanies each piece of clothing. Also accompanying each item is a grand packaging system, including a wash bag and special gentle soap made for synthetic performance apparel. To that point, each panel in the shorts can be replaced individually. When you incur some road rash, you don’t have to trash your spendy bibs altogether. The company also promotes a system whereby you purchase in tiers of quality for races or training rides, so you don’t wear your race bibs out riding recreational centuries, for example. For all of this design, technology and packaging, you will pay a premium. If you’re a bike geek, and we know that you are, then you are probably a gear geek as well — and Assos is adamant about the fact that its apparel is to be regarded as gear, essential gear, designed to enhance not only your performance but your fun level, too. And truth be told, he who has the most fun wins anyway. At least Assos is realistic enough to admit this fact, even if you won’t. —Aaron Bible is an outdoor industry journalist based in Frisco, Colorado.